Anastasia Shubskaya is a Russian professional model and film producer. She was initially popular for being the daughter of famous Russian actress and film director, Vera Glagoleva. 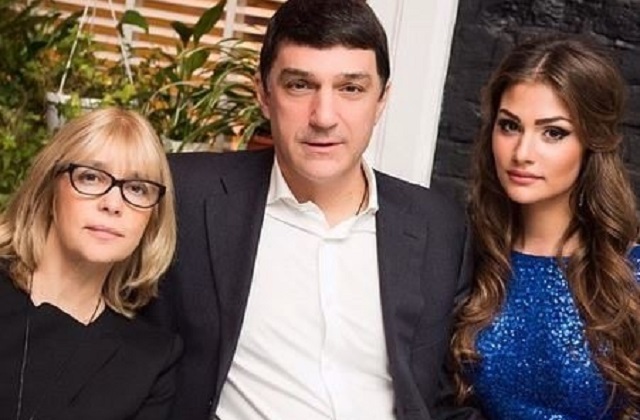 As she was slowly working her way up the ladder of her career, she got a quick shot to fame when she became the wife of Alexander Mikhailovich Ovechkin, a Russian ice hockey winger. Anastasia Shubskaya now goes by the name Nastasiya Ovechkina. She took up the name following her marriage to Alexander. Below are her biography and other important facts about Alex Ovechkin’s wife. Anastasia Shubskaya was born on November 16, 1993, in Switzerland. She grew up at her birthplace but her family later moved to Russia’s capital, Moscow, where she completed her high school education. She then proceeded to the Gerasimov Institute of Cinematography in Moscow, graduating in 2014. Shubskaya also attended the New York Film Academy where she took a one-month acting course. Owing to her mother’s profession, Anastasia grew up to love a career in entertainment. From an early stage, she started featuring in some of her mother’s works including Ferris Wheel, Ka-de-bo, and A Woman Wants to Know. Shubskaya however, broadened her own career path to significantly include modeling owing to her flawlessly gorgeous looks. She began professional modeling in 2015 and has since featured on a number of popular Russian magazines including Wedding Magazine Russia. Earlier (in 2014), she appeared in Elle Magazine‘s list of “Top 10 Bachelorettes in Russia”. Anastasia Shubskaya was born to Vera Vitalievna Glagoleva and Kirill Shubskiy. While her mother was a recognized Russian actress and movie director, her father is a ship construction businessman. Although she grew up in affluence, Anastasia was never a spoilt child. Anastasia has two older half-sisters (Anna and Maria) who are from her mother’s previous marriage. She sadly lost her mum to cancer on August 16, 2017. Vera Glagoleva was popular for her works in At The End Of The World and Poor Sasha. At the age of 14, Anastasia Shubskaya attended the 2008 Olympic Games tournament in Beijing, China. It was there that she met Alexander Ovechkin aged 23 then, with whom she slow-danced at one of the after-game parties. The duo, however, did not start off anything after the encounter. It was six years later (in 2014) that Alexander accidentally spotted Anastasia on Instagram. He managed to contact her, and it was only then that they became friends and subsequently started dating. In September 2015, Anastasia and Alexander engaged and barely a year later, on 11th August 2015, they got married. The wedding took place at the Fourth Wedding Palace in Butyrskaya, Moscow – the same venue Anastasia’s parents wedded many years earlier. It was a low key ceremony with only a few friends and close relatives in attendance. 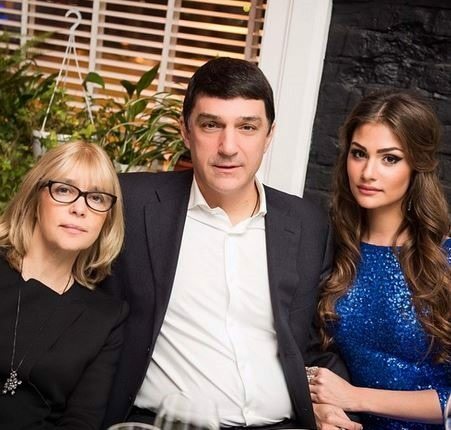 One year later, Anastasia and Alexander Ovechkin had a grand wedding party at the Barvikha Luxury Village concert hall in Moscow. Russian President, Vladimir Putin provided the occasion with a free tea service. The couple welcomed their first child, Sergei Aleksandrovich Ovechkin on August 18, 2018. The happy family presently live together with their pet dog, Blake in their large mansion located in the outskirts of Washington D.C., United States, where Alexander is the captain of NHL’s Washington Capitals. 1. Anastasia was initially engaged to business mogul, Artem Bolshakov for some years. Their love failed to stand the test of long distance relationship, and so they parted ways. 2. Rumors are rife that Anastasia underwent plastic surgery, precisely on the nose and lips. This has remained unsubstantiated as the beautiful model has not made any comment on the issue. 3. Shubskaya hopes to make her way into Hollywood as a film producer. She is, however, currently restricted by her present residence, Washington D.C. She would need to live in Los Angeles to be able to live her dreams but she would not want to live her husband all alone. 4. She is very active on social media, especially on Instagram where she often shares glamorous photos for the viewing pleasure of her over 400k followers. 5. Anastasia is a long-legged brunette with an attractive body figure measuring 34-29-36 inches, and weighing 60 kilograms. She stands at a height of 1.7 meters.